Should I Choose Impact-Resistant Shingles? 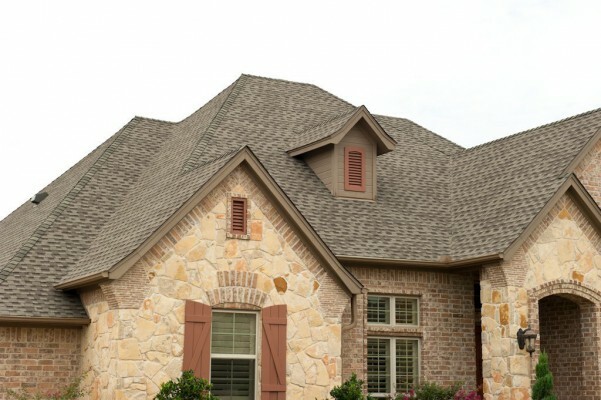 Home » Blog » Should I Choose Impact-Resistant Shingles? The roof of your home provides protection from the elements, including rain, wind, and hail. When your roof isn’t durable enough to handle these elements, it puts your home at risk of being damaged. That’s why one of the best options when getting a new roof for your home is impact-resistant shingles. These shingles are typically more expensive than other shingles; so are they worth the cost? Read on to learn more about impact-resistant shingles so that you can make the right decision for your home. Intense storms in North Texas sometimes bring down large pieces of hail, which can put dents in your roof or cause even worse damage. Dents and damage reduce your home’s value, lead to costly roof repairs, and can lead to water damage inside your house. Impact-resistant shingles offer protection from hail and other debris that storms can bring, such as falling tree limbs. With a Class 4 rating, these shingles are the best option when you’re looking for durability. While impact-resistant roof shingles often have a higher up-front cost, they can lead to savings down the road by getting you discounts on homeowners insurance. This is because these shingles often lead to less damage and therefore fewer insurance claims. Furthermore, impact-resistant shingles will cost you less money on repairs and get you more money when it’s time to sell your house. Impact-resistant shingles are available in a variety of designs, styles, and colors. You can choose roof shingles that are designed to resemble other materials, such as wood, or go with shingles that nicely complement the color and appearance of your home. If you’re looking to get quality impact-resistant shingles that are installed by experienced professionals, contact Acme Roof Systems Inc today.